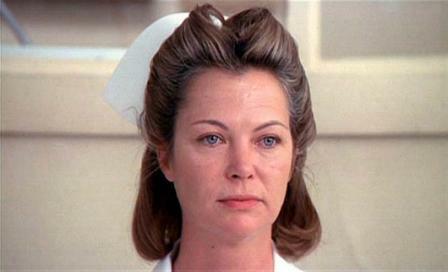 That’s Nurse Ratched, in case you don’t recognize film’s fifth worst movie villain of all time. She was McMurphy’s chilling nemesis in One Flew Over the Cuckoo’s Nest’s psychiatric ward. She came for me during my DIY update of my Wordpress website to mobile responsive. Why didn’t I realize talking to yourself is a sure sign you’re soft in the head? Why didn’t I just let the experts handle this? If you’re thinking of going DIY on a site update, I have some helpful lessons to share. Here’s the first post in a series on Why Updating Your WordPress Site to Mobile Responsive Will Drive You Insane, with all the details on what I did right and wrong. Read on for tips on what you should do first, what you shouldn’t try doing alone and whether this all the effort will really make a significant difference for your site’s performance. 1. Do you really have to update to mobile-responsive? Yes. I chose to ignore Mobilegeddon back in April 2015. I resented that Google was going to require me to spend lots of time and money to transform my basic but functional website. “My site’s fine,” said I. “I don’t need SEO to find clients,” I rationalized. But Google, you forced my hand and even though I’m now certifiably insane, I’m still grudgingly grateful. Updating my solo consultancy website to responsive was important to do for more reasons than just making my site more readable on mobile devices. It forced me to stop procrastinating about updating my content, which was five years old. Online marketing has been transformed in that time period. I also dove deeper into WordPress and gained a better understanding of its functionalities. Or should say dysfunctionalities? I explored the styles of themes that are currently most popular. I found out that other platforms beside WordPress will work better for some businesses. This will all come in very handy for clients. In terms of actual performance, I tracked how my site did for speed and look/feel before the update and afterwards. I’ll share that comparison in a later post. 2. Reality check: is WordPress really the best platform for you? Before you do anything, answer the basic questions. What are your goals? What functionalities do you need, like ecommerce or great SEO or blogging or a killer portfolio presentation format? Who will administer the site and how tech-savvy is this administrator? Since I first built my WordPress site there are some drag-and-drop platforms that have come a long way—and are far easier for lots of small and medium businesses to use. Weebly, Squarespace, GoDaddy and Wix are all worth considering. GoDaddy has excellent 24/7 customer support, I’m told, and a very intuitive drag-and-drop dashboard. Weebly’s drag-and-drop interface is easy to use. It has lots of attractive page templates. The basic version is free. It lets you easily switch fonts, modify point size and change font color. In the Converio WordPress theme I first chose (foreshadowing) just changing fonts was custom coding that I had to get tech support to walk me through. That said, WordPress is a powerful platform with a huge developer community behind it and pretty much an endless number of plugins for any functionality you could want. It’s very powerful for SEO. It allows websites to easily scale and for new features to be easily added. I decided to stick with it for my own site. 3. You’d be nuts not to hire a WordPress developer as a consultant. The smartest thing I did in the whole site update process was to find an expert to consult with questions. I wanted to do all the content revision, navigation tweaks, portfolio examples, SEO and general look and feel like fonts and colors myself, for reasons of both money and learning WordPress better. But I knew I’d likely need help on custom coding and other technical issues, like picking a good theme, not losing any of the SEO value of my current site, doing pre-launch testing and making sure my new content was backed up during the switch-over. In my head I set a round figure of $1,000 as a budget, knowing that if it looked like I would go above I could scale the site back or try to do more myself. Through my Bend Web Design and Development Meetup I found Stacy Desmond of Saveda Web Strategies. She fit the bill for me because she had coding, UX (user experience) and design capabilities and was willing to be a resource on an hourly rate. One of the great values I got from my consultant was her assistance on the site look and feel. Stacy made a few important tweaks to what I’d picked on colors, fonts and point size and made sure the contrast was right. It made the site much more readable, unified and attractive. 4. Avoid nervous fits by setting a flexible timetable. From client projects I knew that it’s typical for website rebuilds to take at least three months, and it can go as long as six. Knowing that mine was a “spare time” project that I’d be working on nights and weekends, and also that it was a redesign, not a new site, I aimed for roughly 12 weeks for completion. I didn’t set a hard deadline for a launch date. This was really important for mental health. On days when client work was slow, I could sneak in time on my own site. When frustration was getting the better of me, I could put the project aside and come back to it the next evening or weekend. This meant that I didn’t give up on some functionalities because they were harder to set up, or take shortcuts on things (like photo compression) for the sake of just being done with it all. 5. Make sure your existing site is backed up. Flying without this net would be nuts. My web hosting company Alpine Internet handled this by creating a clone site of my existing site with a temporary address, hidden from Google. Once this “dev site” was up, I started the revision by adding my new theme and working only on the cloned site. 6. Don’t drive yourself crazy with checklists and planning. It would be easy to spend days or weeks doing all the tasks recommended by all the website rebuild checklists: content inventory…screenshots of every page…navigation title, page title and URL for every page…the purpose for every page…full persona development…and so on. I started down that path and realized my project would never be finished if I took this approach. That said, here are some good resources for those who really like to plan. In my next posts in this series on why you’ll lose your mind during your DIY WordPress website rebuild I’ll share how NOT to pick a good WordPress theme for consultants, how you can tell if your site is really bad on mobile, and how to compare your old site’s performance to the new. Marketing driving you nuts? Give us a holler.